This post was originally sponsored by TruRoots. All opinions are my own. 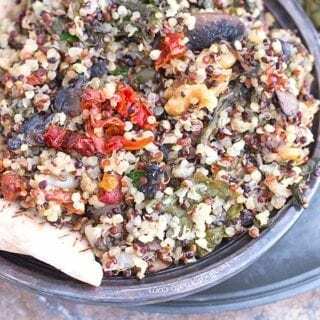 That includes sprouted mung, sprouted chick peas, sprouted lentils and sprouted bean sprouts. 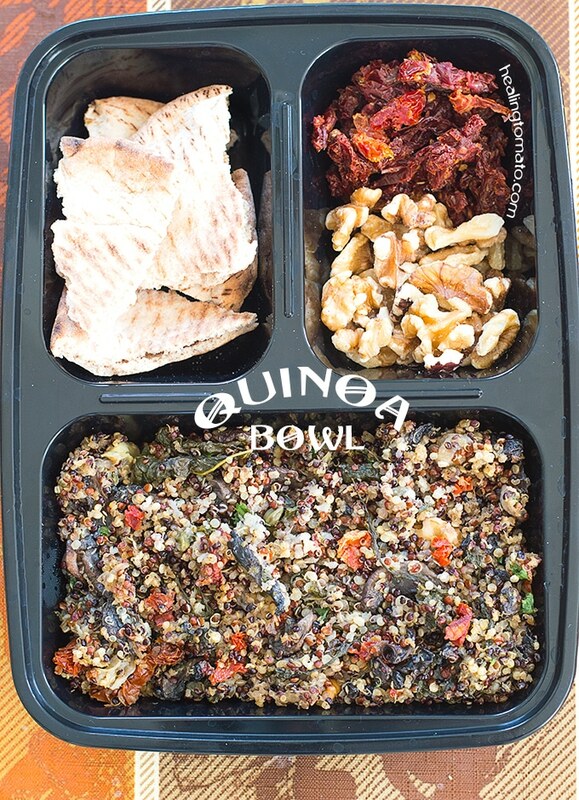 Now, I have discovered sprouted quinoa and its on top of my favorite sprouted food list. Before, I would spend hours and days sprouting ingredients. The process of just sprouting mung beans is about 3 days which is a lot of work. Lucky for me, I have discovered a wonderful product on the market called truRoots! This product, quite literally, changed my life. I am no longer waiting around for lentils or mung beans to sprout. That’s 3 days of time I saved. All I have to do is buy the sprouted product and make a recipe in less than one day! Sprouted mung beans are huge in Indian cooking, so, all that time saved is totally worth it. truRoots sprouted products taste just like the ones I make at home, so, all recipes taste just like I sprouted them myself. I am more than happy to take ALL the credit without doing ANY of the work! 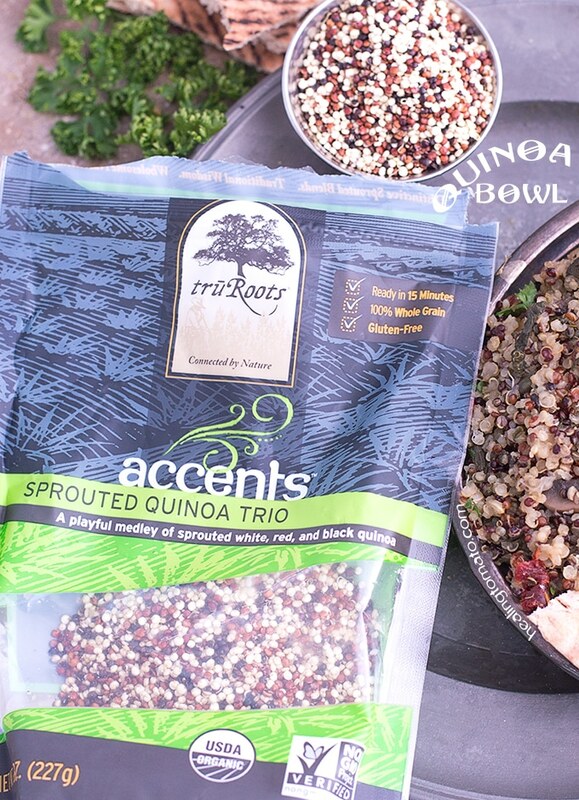 For this post, I choose truRoot’s sprouted trio quinoa because I wanted to make a quinoa bowl recipe that works for lunch at home or to take to work. I don’t think eating healthy is hard to do because companies like truRoots make it easy for all of us to eat right. They have organic, whole grain and sprouted products that taste so good that I forget they are good for me. I went with a rustic feel to this bowl because it feels more appetizing. That bowl looks so inviting just looking at it! There is a feel of eating it out in a barn in the company of friends and family. 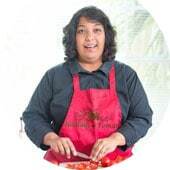 Tell me about your favorite sprouted ingredient and what you like to make with it. 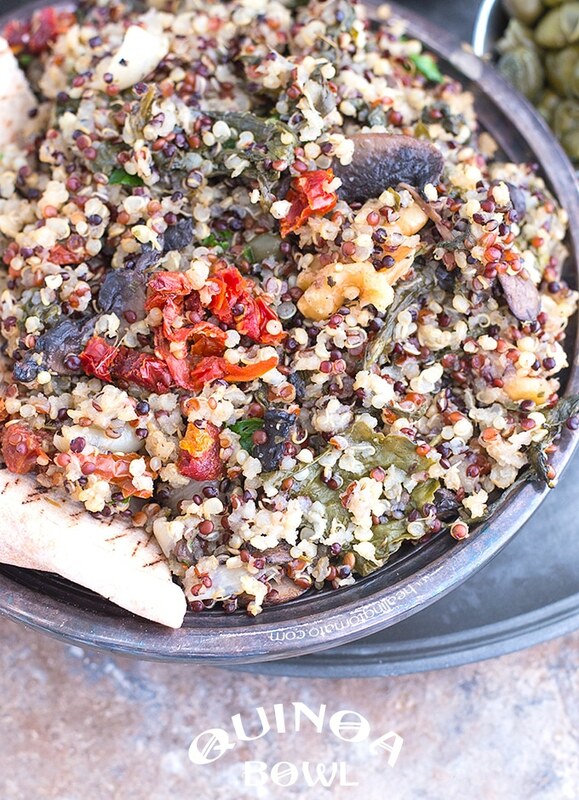 Quinoa bowl made with sprouted tri-colored quinoa and fresh veggies. 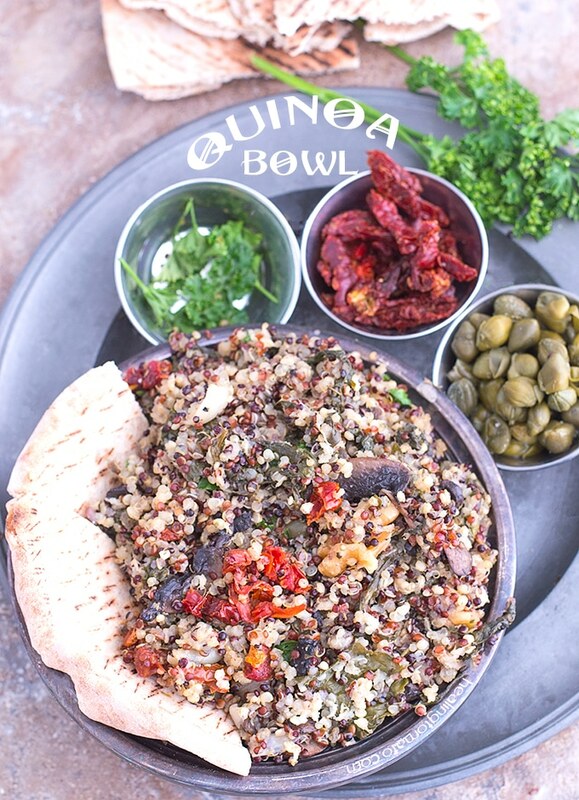 This is totally my kinda meal – look at that amazing bowl and all of this delicious crunch, love it!